UPDATE: Thank you Robert D. and Everyone at Winn Dixie! Thank you Robert D. and Everyone from Winn Dixie! Bradenton and Palmetto merchants are participating in a coin drive to raise money for Children’s Organ Transplant Association (COTA) on behalf of 9 year old Alex Sims who needs a bone marrow transplant. In an attempt to turn everyday change into life-saving dollars, Winn Dixie Stores in Bradenton and Palmetto are participating with coin donation canisters at each register. Along with pennies, nickels, dimes and quarters, Alex’s family found this note in a Winn Dixie coin canister last week. 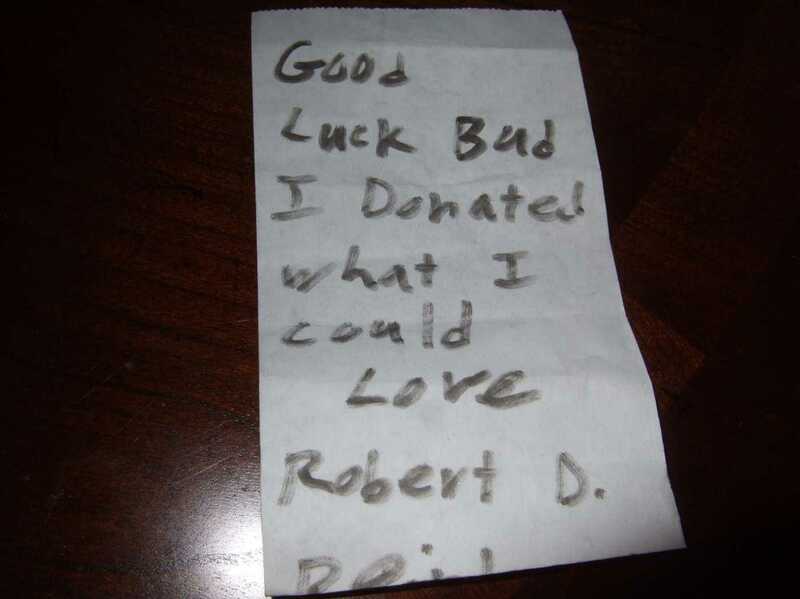 Thank you everyone for your generous donations and thank you Robert D. for your love and support.